Natalie Richy is a professional figurative Fine Artist based in London, UK. Her art education spans for many years and includes earning an MFA Degree at the Latvian Academy of Arts, as well as extensive self-educational research and practice of the Old Masters painting methods. 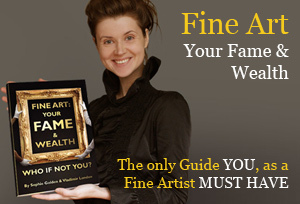 Natalie has deep passion for traditional European art of the 16th – 17th centuries and dedicates her time and efforts to re-discovering the “secrets” of the Old Masters oil painting techniques. She has the mission of sharing her art knowledge with art students who want to learn how to paint like the Old Masters and continue classical traditions of figurative art. 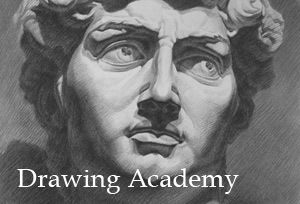 As an Old Masters Academy™ tutor, Natalie shows her discoveries and the process of creating figurative oil paintings from blank canvas to a finished piece of artwork in numerous video lessons of this oil painting course. She also provides personal coaching to her students via email, offering artwork critiques and advice on how to improve one’s art skills. Natalie, I love your art!!! Thank you for giving me such encouraging feedback!!! Hi Natalie, my name is Milan. 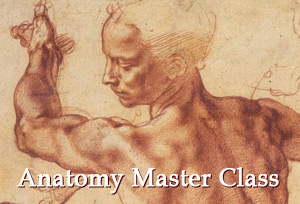 I have just enrolled in your Old Masters Academy course and i am a member of Anatomy Master Class, and i will be enrolling in Drawing Academy in a few short days. I have bought your e-zine books as well and i know i will receive terrific and invaluable information and instruction in your programs. My question is, should i focus my time on drawing only, for about four years, before i move into color or should i work on both skills at the same time. Your feedback will be greatly appreciated. Thank you for offering your valuable knowledge, experience, insight and time for such a low cost.